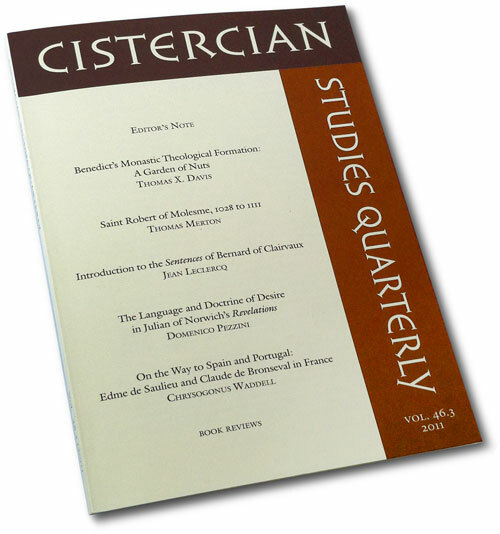 Cistercian Studies Quarterly is an international review of the Christian monastic tradition. Its purpose is to strengthen the bonds of charity between Cistercian Orders and among their communities, and to foster knowledge of Cistercian patrimony in view of its salutary effect on the lives of Cistercians and on the Church. The journal's motivation is charity expressed in the scholarly integrity and aesthetic detail with which it hands on the living Word for Whom the monastic has left all things. Sample articles can be viewed in Current and Recent Issues. Agnes Day's 2016 article, "'With Widened Hearts': A Commentary on the Prologue of the Rule of St. Benedict" is available here in PDF format. A Cumulative Index of all articles by author and title is available online. At only $40 per year and averaging 136 pages per issue, CSQ is exceptionally affordable.